2 How will you benefit? 3 What do I do as a volunteer? 4 How do I become a volunteer? 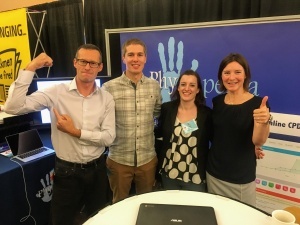 Volunteering for Physiopedia is an amazing opportunity for any physiotherapist or physical therapist. It is a great complement to your daily work, improves employability and will contribute to your continuing education and professional development. We are building the largest physiotherapy and physical therapy specific resource available, and we need your help! 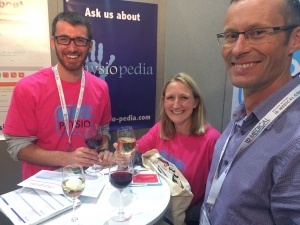 There is always so much to do to at Physiopedia and we always welcome offers to contribute. Help us to build what we hope will become an amazing resource for our profession. 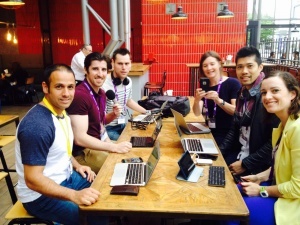 Joining us on the team at Physiopedia is a great addition to your CV! From the experience you are likely to gain new profession-related knowledge and also to advance your technical skills. Volunteering will contribute to your continuing education and professional development and you can know, and feel good about the fact, that you have contributed to our global profession by playing an important role in building this professional resource. With successful voluntary contributions we are happy to provide you with certification for your continuing education and professional development, plus references for your current and potential employers. We are spread out all over the world and everyone works from the location they choose at a time that suits them. We use Asana for project management, use Zoom for online meetings and everything else on Slack. We care about the work you produce, not just the hours you put in. Everyone has a specific goal to achieve every month, for example, on the content team this might include updating 4 existing pages or creating 2 new pages or if you are given a specific role that suits your individual qualifications, experience and interests, you will have certain mutually agreed deliverables each month. All our volunteers complete the Volunteer Orientation Course. Following successful completion of this course all our volunteers complete six months on the content development team. This consolidates all that you have learned on the course and gives you an opportunity to demonstrate where your unique skills and interests lie. After your six month review may continue on the content team (this is where most of our volunteers contribute) or, if you have demonstrated specific skills and interests, you may be provided with a role that suits you. If you would like to become a volunteer, sign up for the next Volunteer Orientation Course here. Volunteers will be recruited from the global physiotherapy community. They may be students, graduates, clinicians, educators, researchers. On acceptance to the volunteer program you will become a White Belt Volunteer. All volunteers must progress through the volunteer orientation course. During this orientation period you will familiarise yourself with our communication channels, reviewing and editing Physiopedia content, and write a reflective piece on your experience. These tasks will help to familiarise you with navigating and editing the site and you will gain valuable technical skills that will enable you to progress on through the volunteer program. On successful graduation from this orientation course you will be provided with a course completion certificate to evidence your learning for employers and continuing education or professional development purposes. You will become a Yellow Belt Volunteer. Once you have graduated from the orientation course you will complete 6 months on the content development team. This will consolidate your editing skills and understanding of the Physiopedia project. 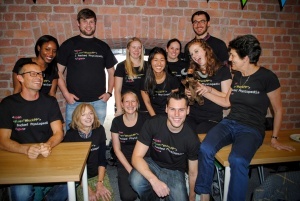 After your six month review may continue on the content team (this is where most of our volunteers contribute) or, if you have demonstrated specific skills and interests, you may be provided with a role that suits you. You will be expected to meet the specific requirements of your volunteer role and submit an activity report every month. Volunteers will be provided with all the training that they need for their specific role. Volunteers will also benefit from free access to Physiopedia Plus to contribute to your CPD/CE. Each volunteer will have a review at the end of every year on the team. Volunteers have the opportunity to progress through earn new volunteer badges on an annual basis following a satisfactory performance appraisal. Certification will be provided to prove your volunteer role to employers and for continuing education and professional development purposes. 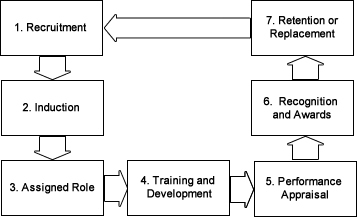 Volunteers who display exceptional skills in contributing to Physiopedia may be promoted into a managerial role. Volunteers may choose to leave the program at any time. Underperforming volunteers will be replaced. Volunteers have the right to . . . Volunteers have the responsibility to . . .